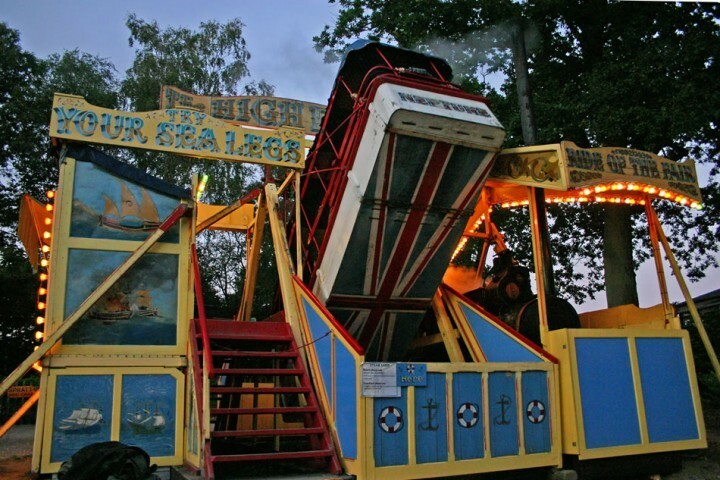 Hold on while you ride this 1911 forerunner of the modern 'Pirate Ship' – somewhat smaller, but just as exhilarating! Height restrictions apply. Minimum height: 1.1m (3ft 8in), approximately 5 years. Steam Yacht 'Neptune' was built in 1911 by showman Fred Sowden of Bradford. This single Steam Yacht was originally operated by pulling ropes underneath but was later converted to steam power. 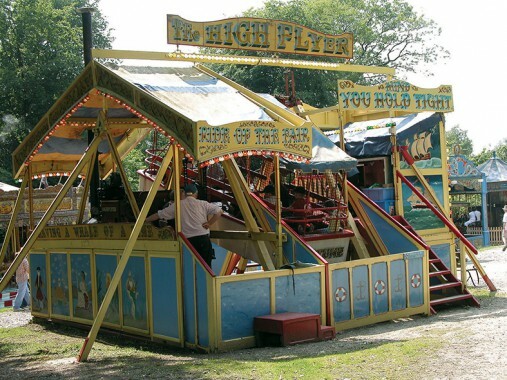 A later owner adapted a Burrell steam roller to power the ride which arrived at Hollycombe in 1963 and was the only ride to be steam-hauled to the famous Shottesbrooke Park Great Steam Fair in 1964.